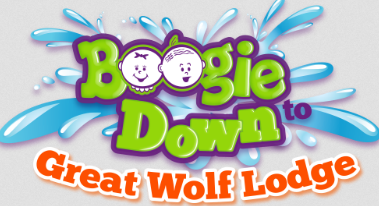 Boogie Wipes Great Wolf Lodge Sweepstakes – Win 3 days at any Great Wolf Lodge & more! Win 3 days at any Great Wolf Lodge, a $150 Great Wolf Lodge gift card & an $850 travel voucher (3 winners)! ENTER SWEEPSTAKES HERE – Boogie Wipes Sweepstakes page. ENTRY LIMIT – Only one entry per email address is allowed. ELIGIBILITY – Great Wolf Lodge (“Sweepstakes”) is open only to legal residents of any of the fifty (50) United States or the District of Columbia, and Canada (excluding Quebec) who are 18 years of age or older at the time of entry. SWEEPSTAKES PERIOD – The Sweepstakes begins at 10:00 a.m. Eastern Time (“ET”) on March 1st 2015and ends at 12:00 pm EST on December 18th, 2015. PRIZES – Three prizes packages will be given. Each Prize Package includes: 2 nights 3 days lodging at any one of the Great wolf lodge properties, $150.00 dollar Great Wolf Lodge Gift card, $850.00 Travel voucher.